Macclesfield based Mobile phone recycling company Eazyfone who trades as Envirofone, have recently announced that they have seen turnover grow 260% to £36.2m this year to August 31st. The company has seen their profits grow from a loss of £309,000 in 2008 to £3.3m at the end of August after tax and interest. 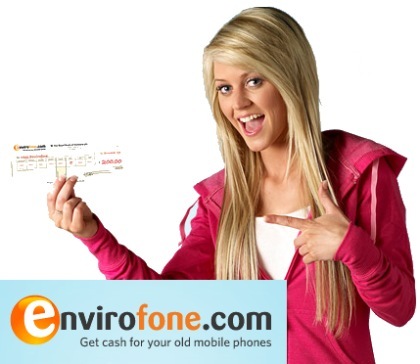 Envirofone’s success has come from investment in a high profile TV advert campaign which has made them one of the most well known recycling companies. Eazyfone says they have arranged for 1.8 million mobile phones to be recycled or reused in the last 12 months alone. The majority of these old phones are refurbished and sold in countries like Africa and China, whilst others are broken down so precious metals can be extracted. The company hopes to expand its mobile phone offers to other products including digital cameras, laptops, MP3 players and SAT NAVs. They also hope to access the growing mountain of old mobile phones in other countries across Europe. Eazyfone was launched in 2005, they currently have more than 150 staff and is 70% owned by venture capital company Frontiers Capital.